them ol Whitetails they got me hooked!! Gotta be top of my list Largemouth Bass!!! help in response to a report titled: any ideas? 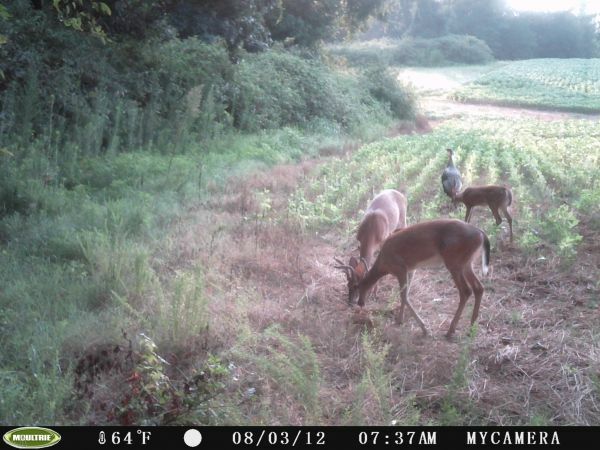 He is loving them persimmons, what yall think he will score. anybody got any idea of what could cause my cudde back attack ir daytime pics are turning out like this? 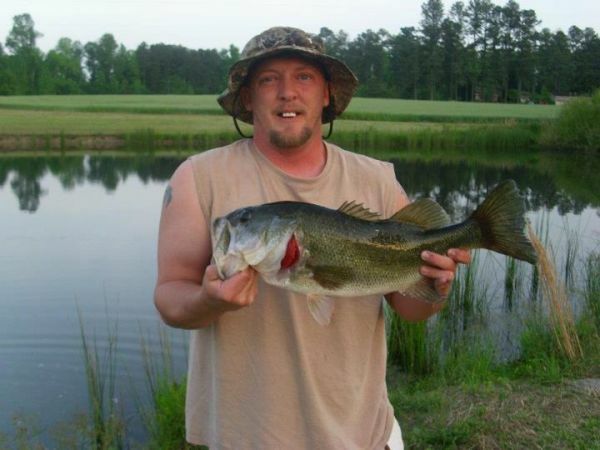 One of the bigger bass from the farm pond! That crushed rack rock was good to her lol!! She brought the kiddos along for sum! Thought this was a good picture! 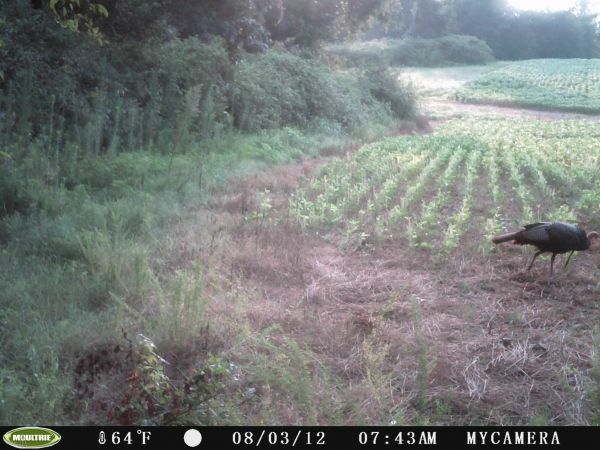 see he ran them off nice bird good beard and spurs from what i can see what yall think? 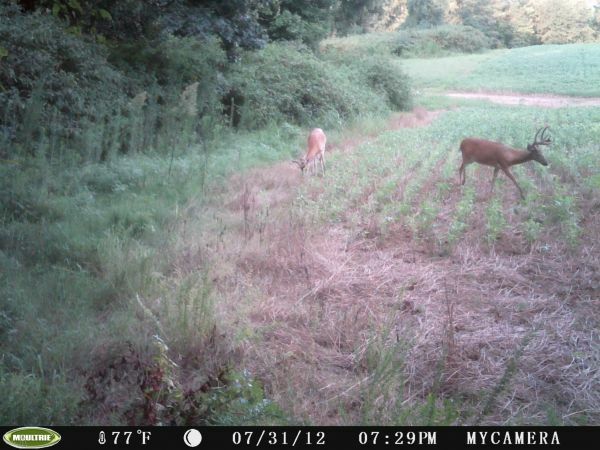 Just wondering what yall thought bout taking these bucks out im seeing alot of this offsided bucks on my trail cam pics. 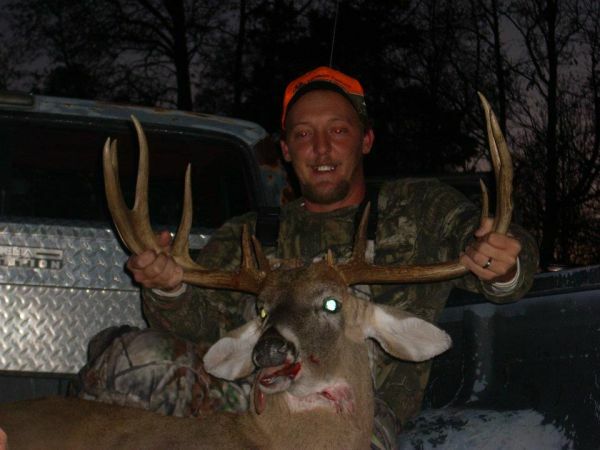 I took this bruiser at 4:15pm on November 30,2011. He came up out of the swamp just a grunting mad ready to run the buck he thought he heard tending a doe. I was waitig on the other end of my grunt call when he came out of the thicket 10 yards from where i was sittng on my hunting stool, dropped him with my Daddy's 30 year old Remington 1100 12 gauge that he passed on to me. I had a local wildlife biologist rough score him, the buck grossed 145 typical there are still sum deductions to be done, ready to see what he will net at the classic in March. 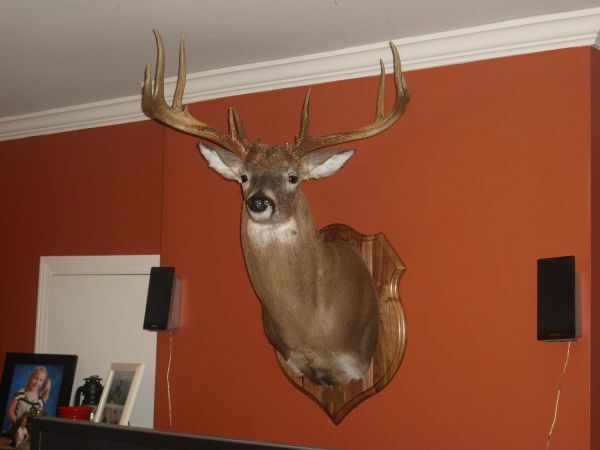 The buck has 14 scoreable points 23 5/8 inch inside spread, 22' an 23' main beams!! Location was Wake County Just outside of Rolesville, NC. A comment titled: help in response to a report titled: any ideas? all my daytime pics are like that I had one that had a line across the top that was in color but the rest of the pic looked like this don't know what could be causing it. 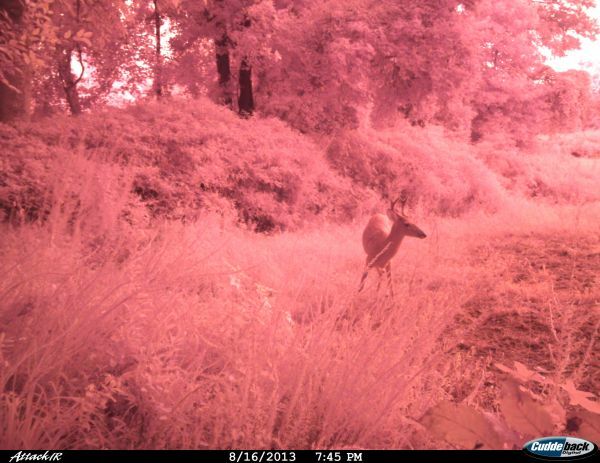 that camera has so many different settings that I don't really understand last year I couldn't get it to trigger I put it on a mineral site and it was getting hit hard but I had only like 4 pics this year I reset it to default settings and im getting my pics just want to get this problem solved. 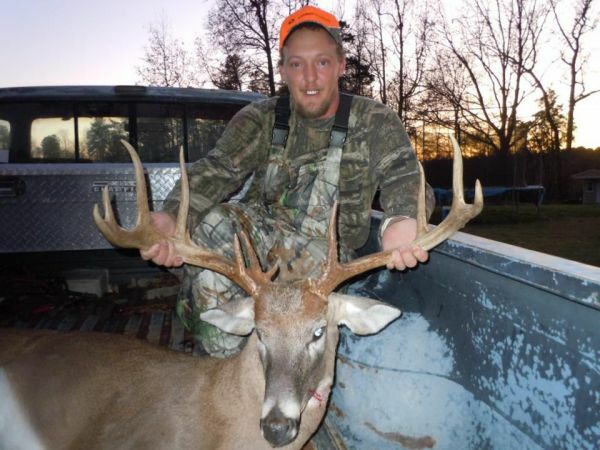 Man he is a stud looks to be heavy, tall and got sum width on him. 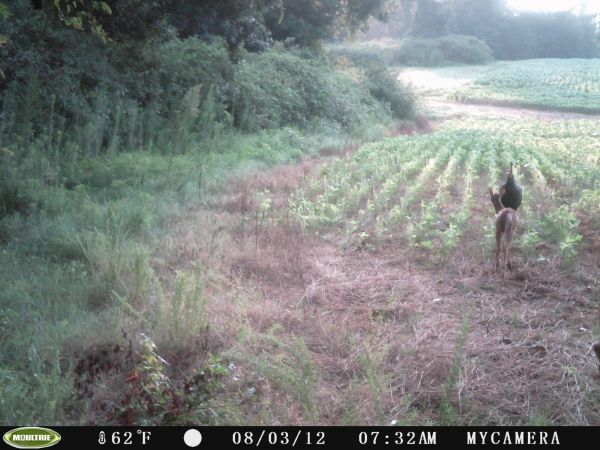 I like them long brow tines looks to have a kicker off the back of one of them super nice buck!! Good luck!! 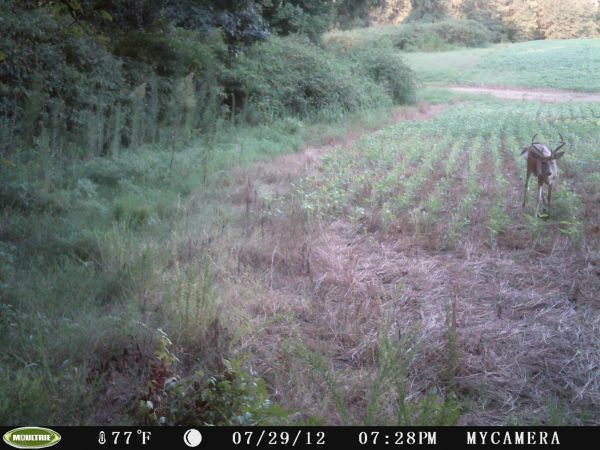 that is good ol soy beans ag field on a farm i hunt! The hard work was already done sum early scouting from a far gave me a good idea where to hang my camera!! 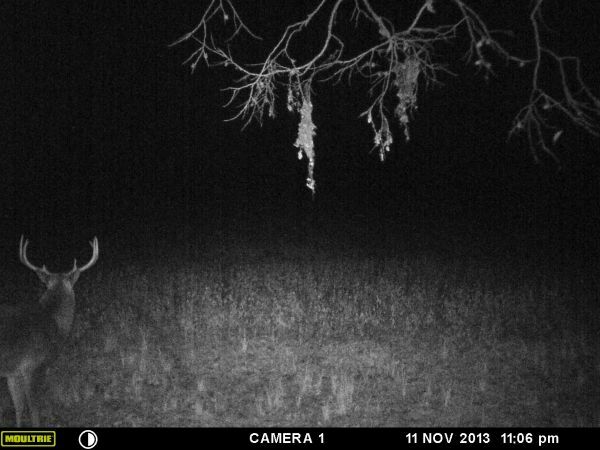 Now if this pattern holds true till the early season i will get to put my hands on the high rack i have seen havnt got any pics of him yet but that high rack gene has been passed around for sure. 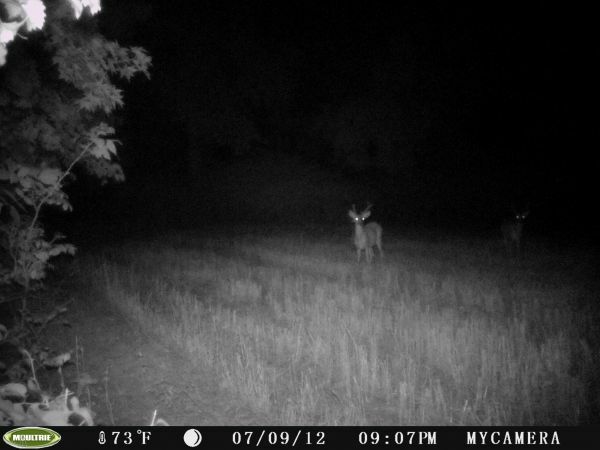 Yea he is nice but not sure if its the big one ive been seeing ive seen 3 tall racked bucks out there. 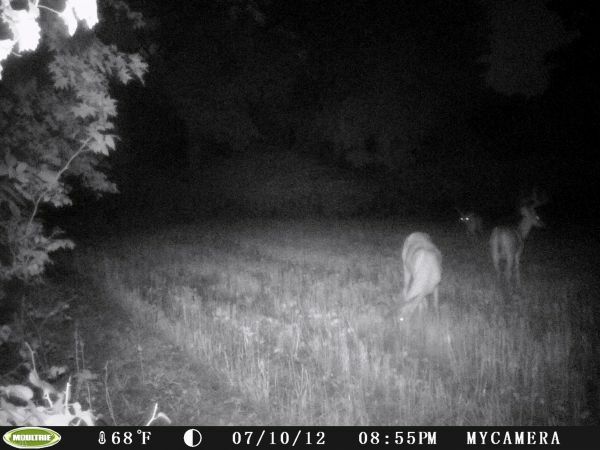 I had been watching a good herd for about a week before i picked a spot for my cam, it was only up a week and i got 94 pics only 2 of the tall one in the 1st pic i posted just put my card back in today gonna let it stay for 3 weeks then go freshing up my mineral lick and check the card again and leave the spot alone till bow season!! 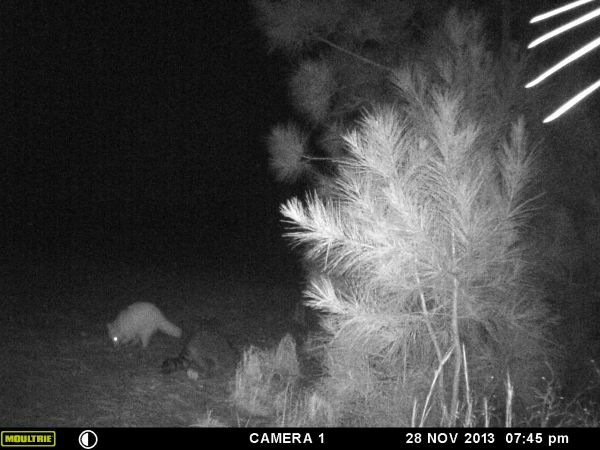 More pics to come hopefully of the 3 bigens together so i can decide which one goes on the hit list lol!! Hey folks im from Rolesville round here in Wake County, ive been still hunting the same couple pieces of private land since i was 10 years old. Ive seen some big bucks over the years with missed chances and seasons in the same woods. I have only taking a few bucks none were close to the one i took this season. 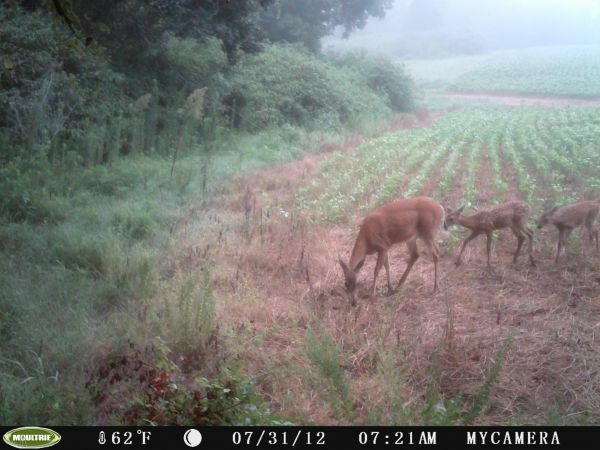 Im just glad my time spent in them woods has finally starting to put the proof in the pudding if you know what i mean. 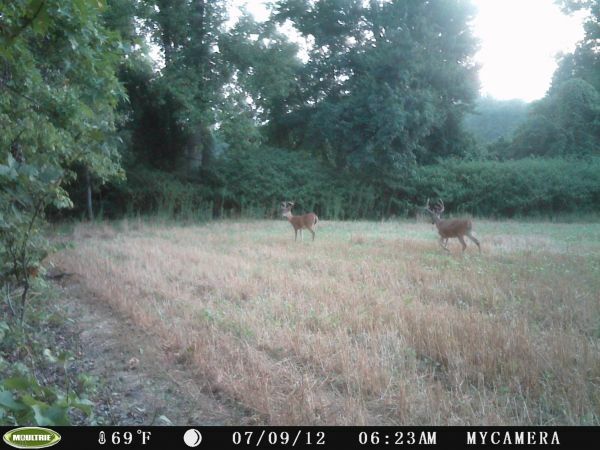 Im ready to see what the rest of the late season holds and start preparing for next bow season!! Good luck to all them hunters out here in NC!! !